I eat soup year around. In the peak of the Summer heat but there is something extra yummy about soup in the Fall. Not only is soup so delicious and versatile, but they are one of the easiest food types to throw together. I usually make soup about once a week and more during the cooler months. 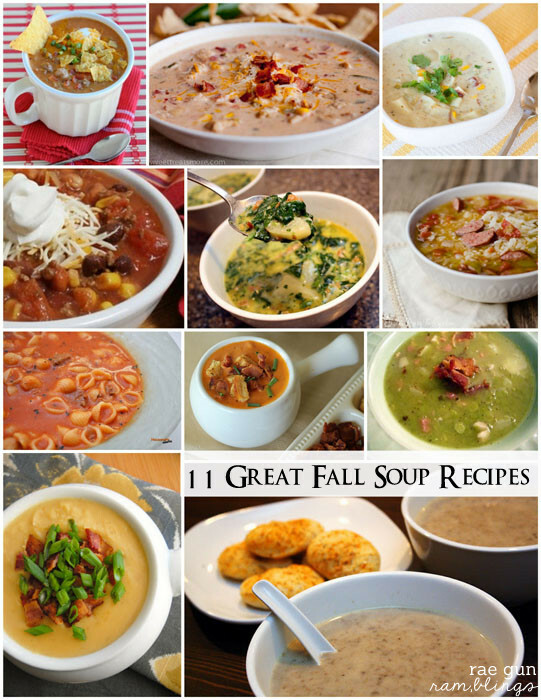 Here are some of my favorite easy soup recipes and ones I’ve been dying to try out. Also now that the weather has cooled down these would be perfect with some artisan bread from the grocery store or even a batch of your favorite homemade bread. I’m feeling like my soup board on Pinterest is needing some more eye candy and inspiration so if you have any soup recipes you love whether on your own blog or just ones you’ve tried out I’d love you to leave a link in the comments.